Today, business everywhere is all about optimising growth – or being lost in the turmoil we are witnessing daily in this new world order of disruption. 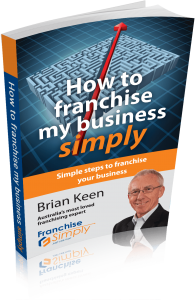 In this eye-opening and frank conversation, we’re going to explore ways that the franchise model can be further improved, and how it can help your business grow from a SME to a multi-national presence. So, to do that I’m truly delighted to say I’ve managed to secure some time with who I believe is the best person to speak to in Australia – Damian Paull, the CEO of the Franchise Council of Australia. Damian has recently joined the FCA and has a tremendously diverse background, including teaching, law enforcement, working as a regulator, and working in small and large businesses.